I went back and forth with whether or not I enjoyed this book. The first couple chapters were difficult for me to get into. Several times I was thoroughly drawn in by the events taking place, but eventually I would get bored again. I did really like reading the journal entries and excerpts from letters between various famous authors and those they associated with- they made the people seem more real. And what scandalous lives they all led!! 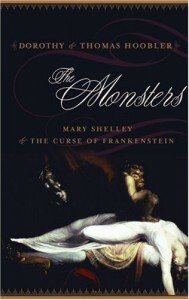 Wollstonecraft, Godwin, the Shelleys, Lord Byron, Polidori, Fuseli- all seemed to have very little morality by the end! I was unaware that adultery was so rampant among the great literary minds of the period! Overall, a great read for historical and literary buffs, not so great for leisure reading.